Weed News (November 7, 2018) The Bureau of Cannabis Control (Bureau) announced today that it is seeking proposals to develop a two-year statewide public awareness and education campaign related to the licensure of commercial cannabis businesses in California. Campaign development will include effective branding, media planning, strategy development, and a robust communications plan. The campaign will focus on informing the cannabis industry and the public about the benefits of licensing, how to identify licensed businesses, and the dangers of cannabis activity by unlicensed businesses. San Francisco Chronicle (November 6, 2018) A San Francisco measure to impose new taxes on recreational cannabis businesses sailed to a clear victory Tuesday, garnering over 66 percent of the vote with almost all precincts reporting. Proposition D will levy a gross receipts tax on pot shops of 1 percent to 5 percent, depending on whether the business is a retail operator and how much gross revenue it takes in. The first $500,000 of gross receipts from sales of recreational cannabis will be exempt from the tax, as will retail sales of medical cannabis. Enterprise-Record (November 6, 2018) When faced with two tax measures — one for themselves and one for cannabis businesses — Oroville voters approved both Tuesday. The sales tax measure, Measure U, had 55.9 percent approval, while 59.9 percent of voters supported Measure T, the cannabis tax, with nearly two-thirds of precincts reporting at 10:50 p.m. The measures came before voters at a precarious time for the city, as the finance director has projected the city to be on track for fiscal insolvency in 3-4 years. The Fresno Bee (November 6, 2018) Fresno is headed toward a marijuana tax measure that officials estimate could bring in $10 million annually for police, roads and other community services. According to early returns Tuesday, 70 percent of voters in 85 percent of precincts reporting, voted for Measure A. The measure, which aims to tax potential commercial cannabis business operations, needs a two-thirds majority vote to pass. KRCR News 7 (November 6, 2018) Initial election returns show voters in Redding support a tax on cannabis cultivation businesses in the city. Nearly 76 percent of early returns support the new tax. The current proposed rate is 5 percent on gross receipts for those businesses. City officials estimate the tax could bring in as much as $750,000 to city coffers. The City of Shasta Lake set a 6 percent gross receipts tax on pot businesses. Nearly $388,000 has been collected in the city in the second quarter. Wired (November 7, 2018) And so few more dominoes fall. Michigan voted to legalize the recreational use of cannabis, while Utah and Missouri legalized it for medical use, according to projections made late Tuesday night. (A recreational measure in North Dakota failed, though medical cannabis remains legal there.) 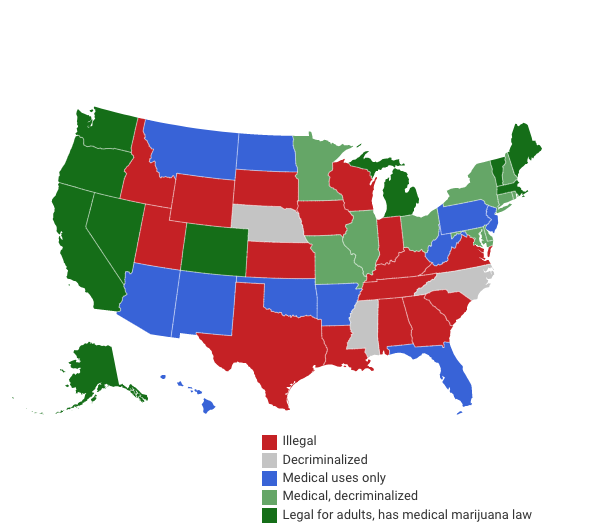 They join 31 other states that have already gone the medical route, and nine others that have gone fully recreational. That’s a win for the citizens of these states—cannabis is far and away safer than alcohol and comes with a range of proven medical benefits, and still more that researchers are exploring. Regina Leader-Post (November 6, 2018) Next month, the World Health Organization’s Expert Committee on Drug Dependence will meet in Geneva to discuss the classification of cannabis and other substances. Ahead of that meeting, the Federal Drug Administration asked for the people’s opinions and comments on the drugs listed and specifically cannabis. Over 20,000 people responded in the timeframe, which ended Wednesday. Around half of all the comments submitted were hand delivered by NORML, which had a form on their site to easily submit a comment to the FDA. Over 10,000 were also submitted through the federal portal. The Guardian (November 5, 2018) Much of the outrage surrounding the war on drugs focuses on mass incarceration. But relatively few minor marijuana convictions lead to long-term prison sentences. Having any kind of criminal record, however, can block access to jobs as well as publicly funded housing and scholarships. Once individuals have paid their debt to society, they’re cut off from ways to productively rejoin it. And as legalization continues to gain momentum, marijuana arrests have actually increased. PR Newswire (November 5, 2018) According to data compiled by Global Market Insights, the U.S. medical cannabis market is expected to grow from over USD 3.5 Billion to surpass USD 8.0 Billion by 2024. Cannabis for medical purposes is now legal in 31 states and medical cannabis has been increasingly used in the treatment of a range of conditions such as neurology, cancer, HIV/AIDS, seizures, muscle spasms, and nausea. Based on application, the U.S. medical cannabis pain management market was valued at USD 2.69 Billion in 2017, accounting for around 75% share of the total cannabis application market. Forbes (November 6, 2018) 2018 is shaping up to be a big year for medical and recreational marijuana, but one grey area remains in a sea of green: cannabis-infused alcohol. As more states legalize recreational marijuana, the legal and economic relationship between alcohol and marijuana will become a bigger issue. Just this year, one of the world’s largest alcohol producers, Constellation Brands, invested $3.8 billion dollars in Canadian cannabis producer Canopy Growth. Now they’re selling off some of their wine brands as part of a strategic shift to focus on beer and marijuana products. CNBC (November 7, 2018) Michigan voted on Tuesday to legalize marijuana for recreational use, ending decades of prohibitive regulation and ushering in a new era of cannabis law and a burgeoning cannabis industry, according to an NBC projection. Cannabis stocks got a boost following midterm election results which largely favored the marijuana industry. Shares of major Canada-based cannabis companies rallied in premarket trading Wednesday. Tilray gained 6.6 percent, Canopy Growth added 3 percent and Aurora Cannabis rose 3.6 percent; Cronos Group and Aphria are up 4.2 percent and 2.4 percent, respectively. Newsweek (November 5, 2018) A Greek billionaire plans to launch “miracle” cannabis products in Scotland, with celebrity endorsements from American rapper Snoop Dogg and Italian fashion designer Donatella Versace. Alki David, who runs a company that bottles and distributes Coca-Cola in 28 countries, told The Scottish Mail this weekend that he was inspired by his 20-year-old son, who studies in Edinburgh, to do the venture. 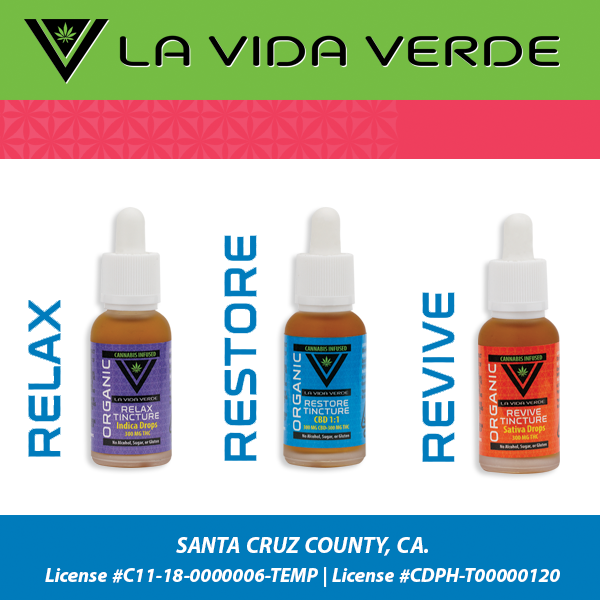 Last year, the businessman set up a separate company that sells oil extracted from cannabis plants in California, marketing the product as a natural treatment for a variety of conditions.